Sounds like a good thing for counselors in schools to bring up in group discussions and of course for parents to discuss with their children. 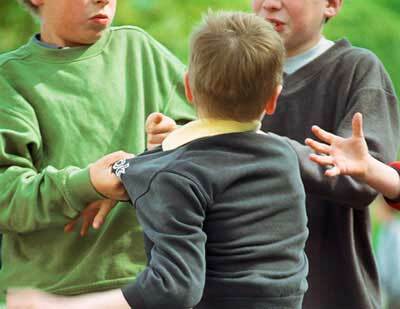 For group discussion: what to do if you see this happen and also explain why bullies act this way so the children understand better and the bullies understand better why they do it so they may grow away from this behavior. Have you read the book “Shyness”? The author talks about the approach/avoidance conflict in the shy person. I happen to be reading this. peterhbrown.wordpress.com’s done it once again. Amazing read. If only more than 56 people could hear about this..